Happy Friday! Hope everyone's been having a wonderful week. Mine has been eventful to say the least. This week I discovered that if your iPhone accidentally ends up in the washing machine it may not necessarily be the end of your world. Mine went through an hour of soak, wash and spin and amazingly came out alive. That's right, you heard me! After a day of charging, my iPhone miraculously came back to life, even my sim card was still operational. Talk about value for money! Here's a look at some of the other less eventful things that went on this week. Forget Pinterest, there's so much beauty in the mundane, one just has to open their eyes to see it. I cannot begin to describe how happy I get whenever I come across beautiful little details hidden amongst the everyday. It's little surprises like that, that lifts the human spirit. I bought my very first pair of Karen Walker sunnies back in 2004 and ever since then I've had a soft spot for her line. Enter 2012, the latest addition to my KW collection these quirky black, white and fluro yellow cat eye sunnies. When my mum first saw these she thought I was wearing a pair of movie theatre 3D glasses. I guess they're not for everyone. What do you think? 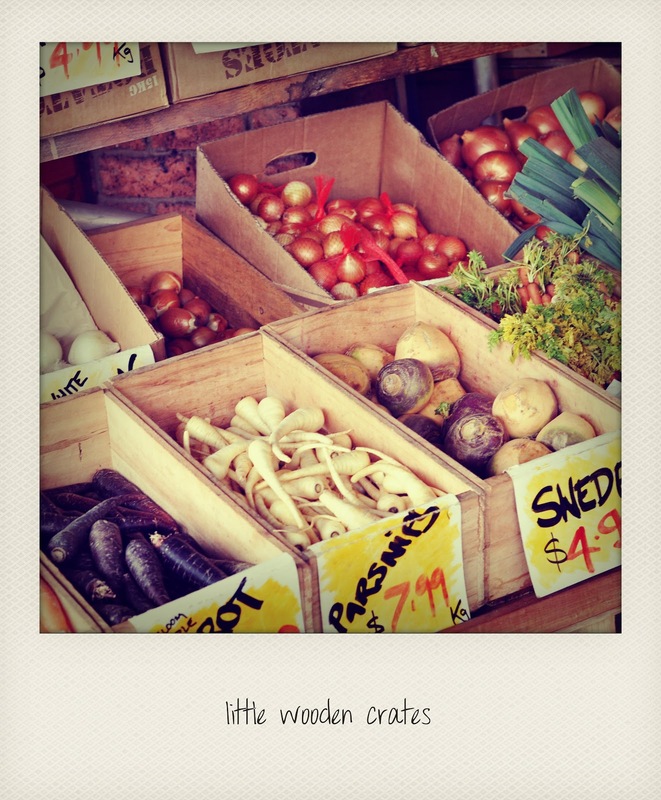 Isn't everything so much better when it comes in little wooden crates? I came across this adorable vegetable stand at a local farmers market. And even though I wasn't in need of any root vegetables, the allure of the wooden crate was enough to draw me in and empty my pockets. This was how we spent last sunday. I think the girls were on that hammock for a good hour. Talk about low maintenance. Imagine biting into a delicious fresh baked pain au chocolat, except instead of chocolate you bite into a melted slab of toblerone! My sister introduced me to these delicious little pastries this week and I am hooked! Best part is, they are readily available for purchase at any supermarket. Well, that is unless they're sold out which happens more times than none. 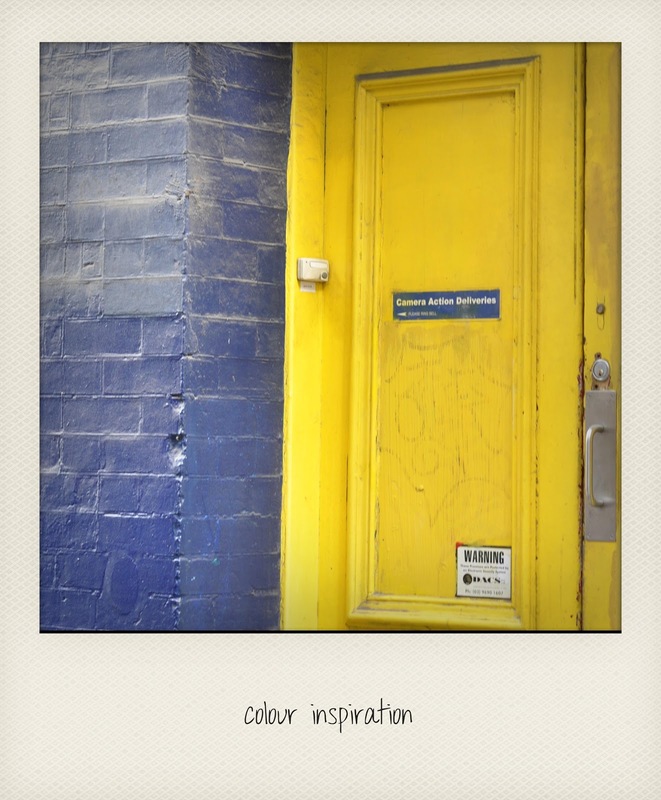 I love coming across unexpected things too- and I would so paint my front door a bright color like that if my husband would allow it, but probably not going to happen! AND O.M.G. 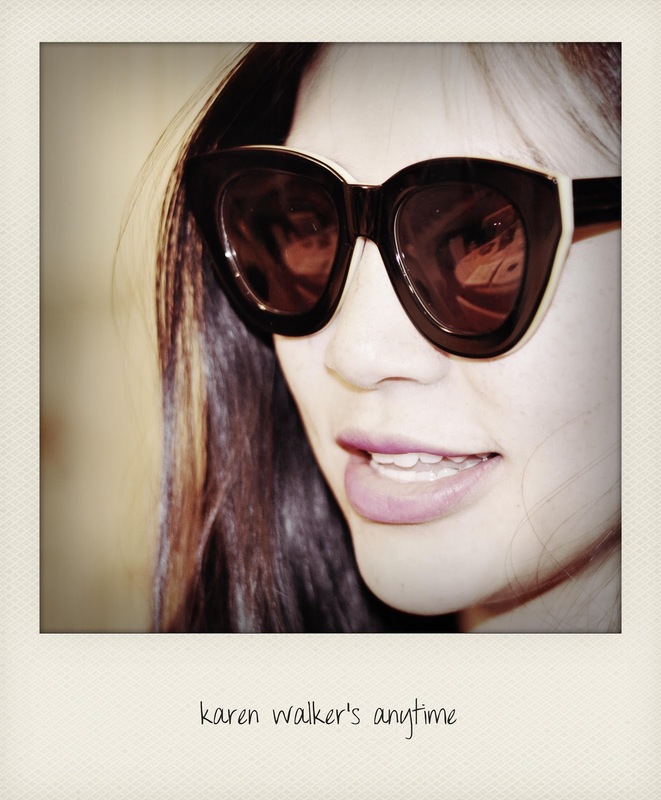 those Karen Walker sunglasses look amazing on you!! Congrats on the purchase- I love them. Your mom must be so funny! I don't see the 3D glasses but moms/grandmothers always see things that we younger ones don't. And how cute are your girls in that hammock? I hope my kiddos are that chill! Yay! This is similar to the yellow we are about to paint our door (at the mo its a chartreuse green) and you have sold me on getting a hammock, what little cutie pies! The last picture is my favorite they are so cute!!! I would have a heart attack if that happend to my phone. Have a wonderful weekend. Love the color inspiration! And your kids are so cute! That pastry looks delicious! And your children are toooo cute! Lovely post!! such beutiful girls!!! 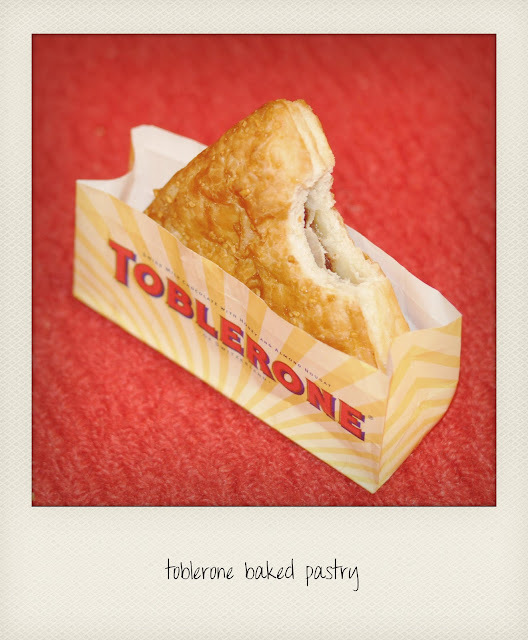 and the Toblerone pastry seems sooo yummy, I wish I could try it. Love those sunglasses! A toblerone baked pastry looks delicious! Have a nice weekend hun! Oh and I use a bunch of sources for photos but find most through tumblr. And aw, always love seeing your little cuties. I'm SOOOOO glad your phone was fine Jenee! That is amazing! HAHAHAHA This food looks so good. Making me hungry right now! :) Have a delightful weekend! OMG, are they anytime black KW sunglasses?? amazing! not for everyone but just for you!!! great! I'm following you also via bloglovin now. I'm 128. That is quite amazing about your phone! Glad it wasn't wrecked. Love the glasses on you. Wow you're so lucky about your phone! I hope that this never happens to me. And OMG I ADORE the sunglasses, I love these although unfortunately they didn't suit me. They look great on you! I can't believe your phone survived! Phew! That was a close one, eh?! I bet no other phone would've survived. I agree...you don't need pinterest to be inspired! We just gotta take a closer look at the details in our daily lives :) Love your pictures! The sunglasses are cute!! I like them. Chocolate croissants are my weakness. I must find out how to get one of those Toblerone pastries in my life! so impressed that the iphone survived a soak, wash and spin cycle! way to go iphone! beautiful photo of the girls! 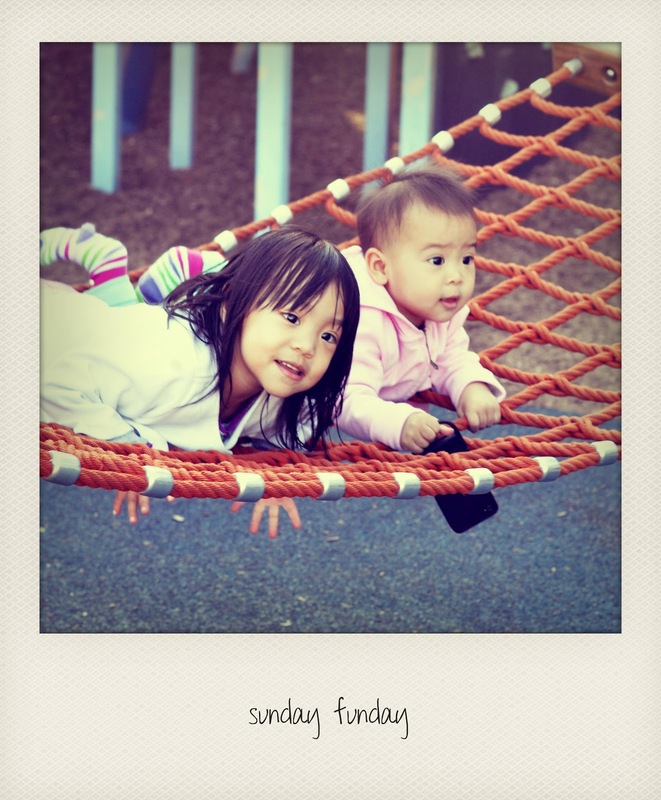 Love all these snapshots, especially the little ones:) Too cute! I'm headed to the store to get those pastries. Yum!